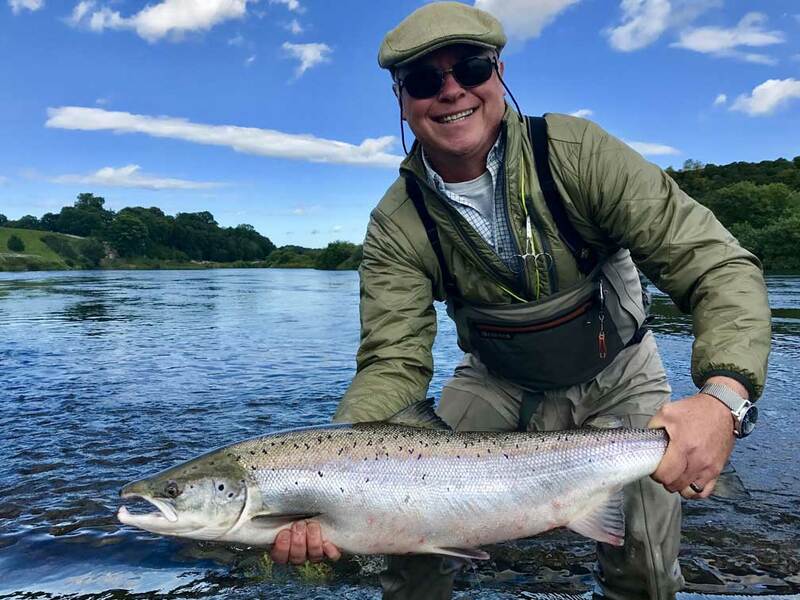 James Armstrong chased & pursued his dream of being a guide, instructor and having his own business and in 2006 his dream came true and he started his business ‘Chasing Fins’. 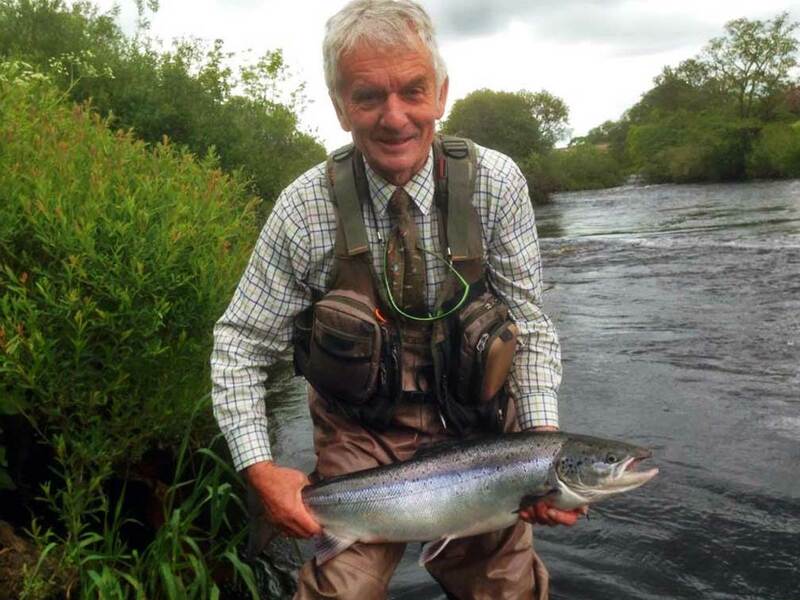 This has taken him all over the world, guiding in places like New Zealand, America, Scotland, Russia and his home country England. 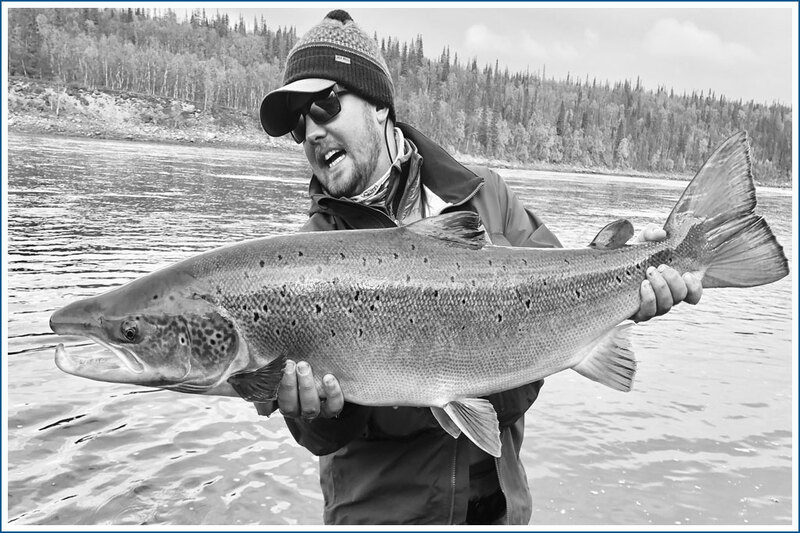 Whenever free time became available James loved his saltwater fishing and visited Australia and Cuba quite frequently to chase his favourite saltwater species. 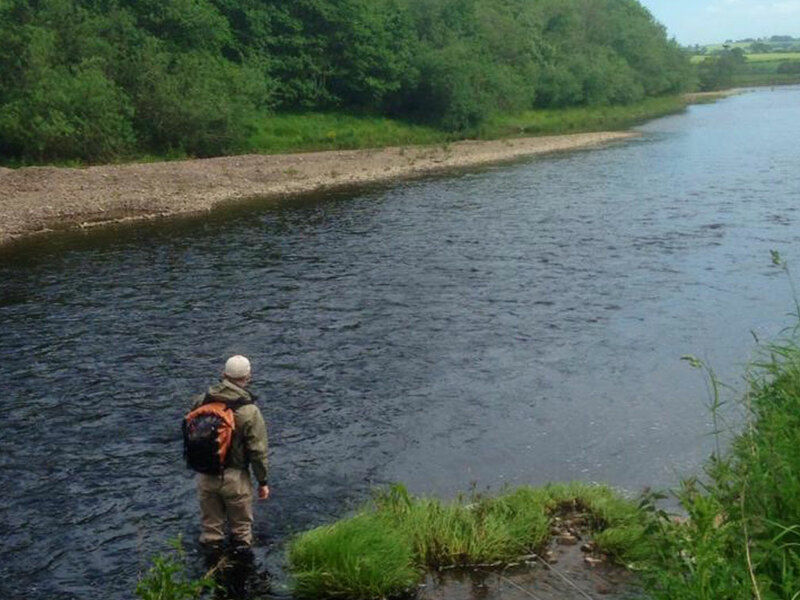 The North East of England (Northumberland) and Scottish Borders was always a big playground for James. 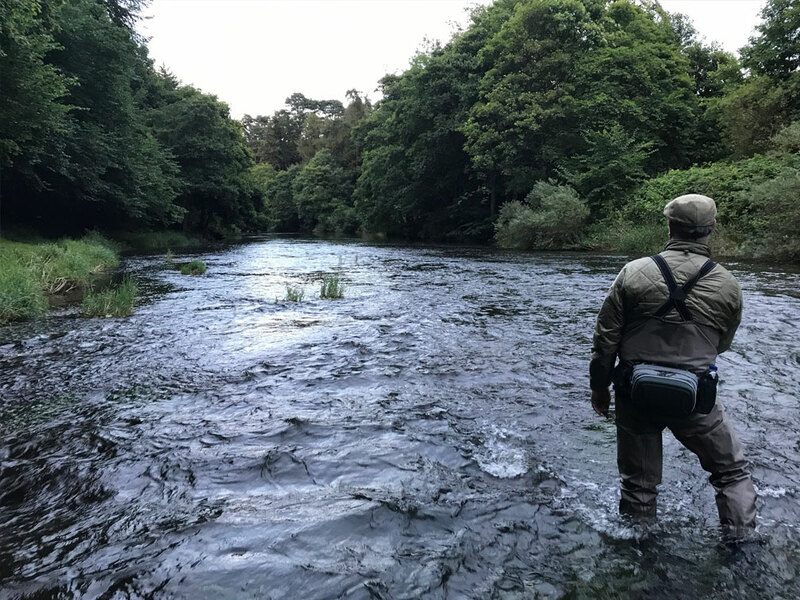 Spoilt for choice with rivers, lakes and the coastline James soon got a superb reputation for catching and guiding for salmon, sea trout & brown trout on all his local rivers. 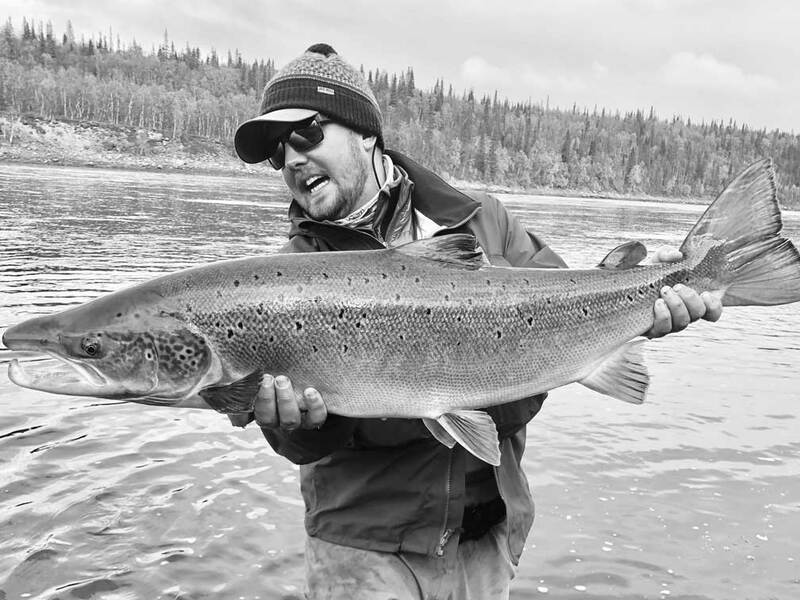 Chasing Fins is proudly sponsored by a few of the biggest and best brands in the fishing and outdoor business. 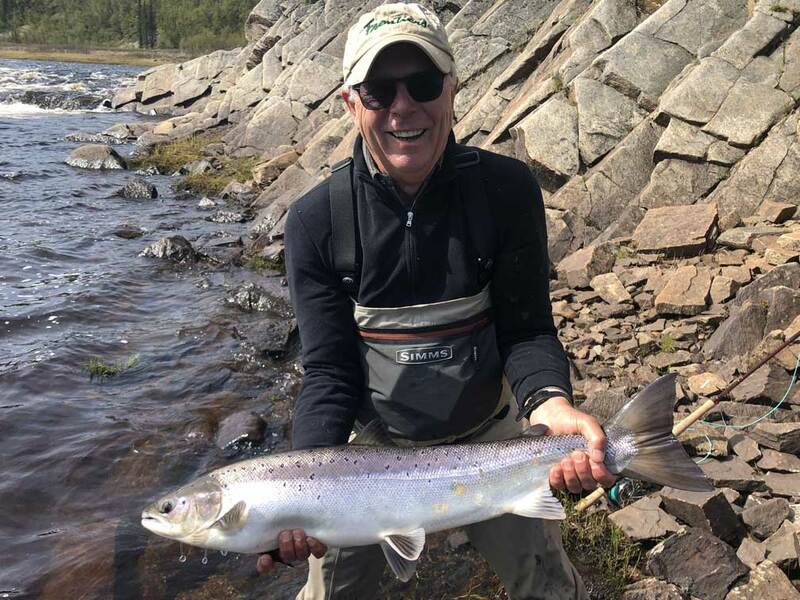 A few of which include Guideline Fly Fishing, Costa Sunglasses and Caledonian Fly Company owned by our good friend Malcolm. 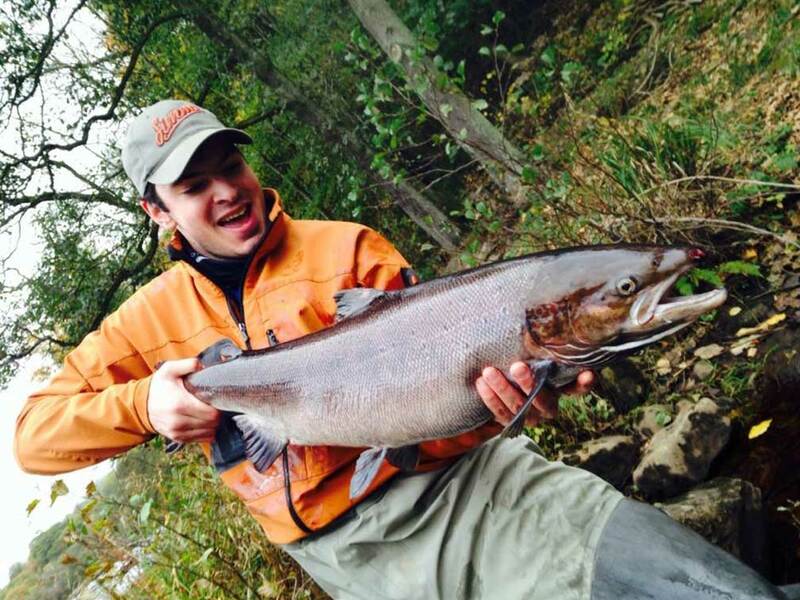 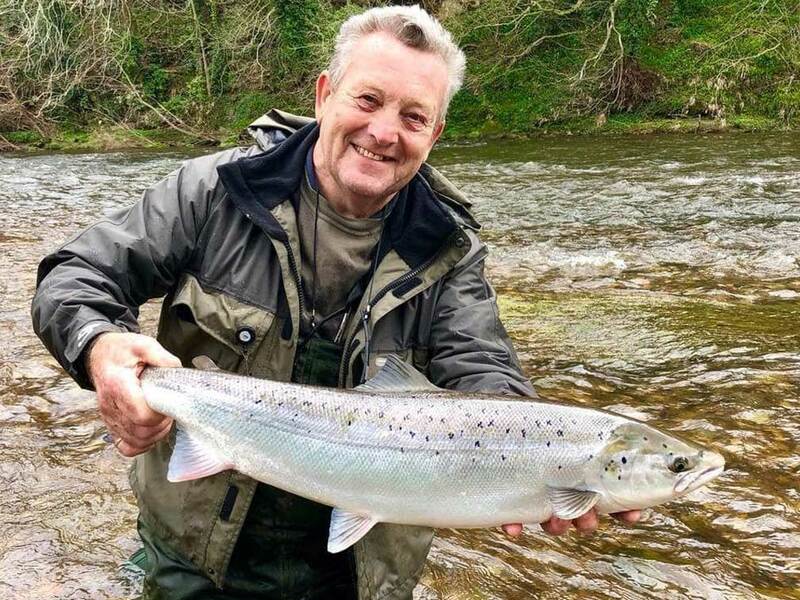 Everyone’s dream prize, a huge Atlantic salmon being held after a superb battle. 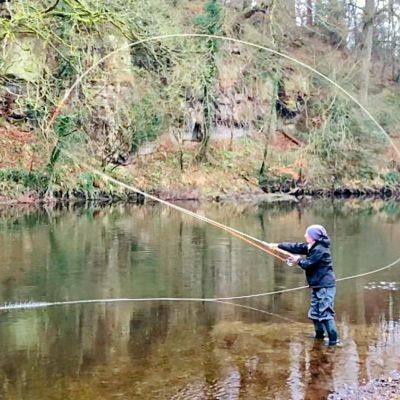 Chasing Fins was established and founded in 2006 by James Armstrong, a professional fly fishing guide & instructor who has fished and guided on the rivers in the North East of England and Scottish Borders since he was a little child. 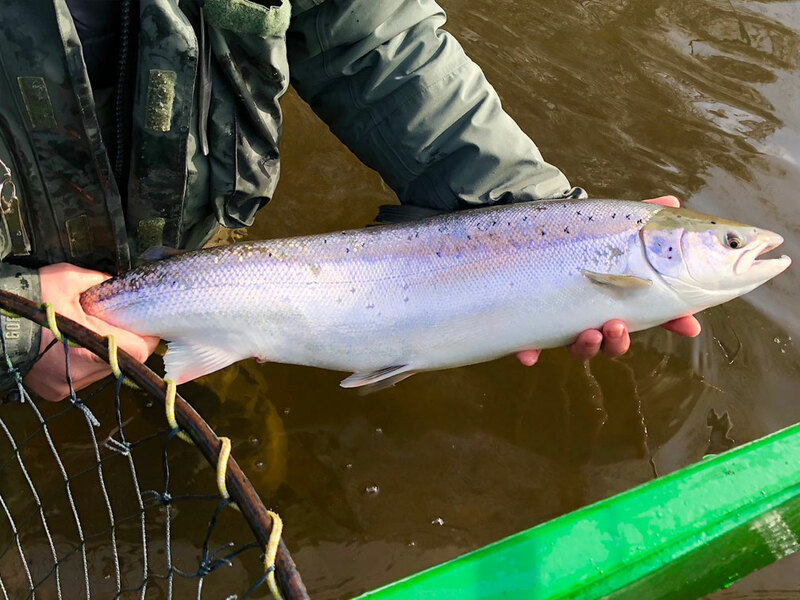 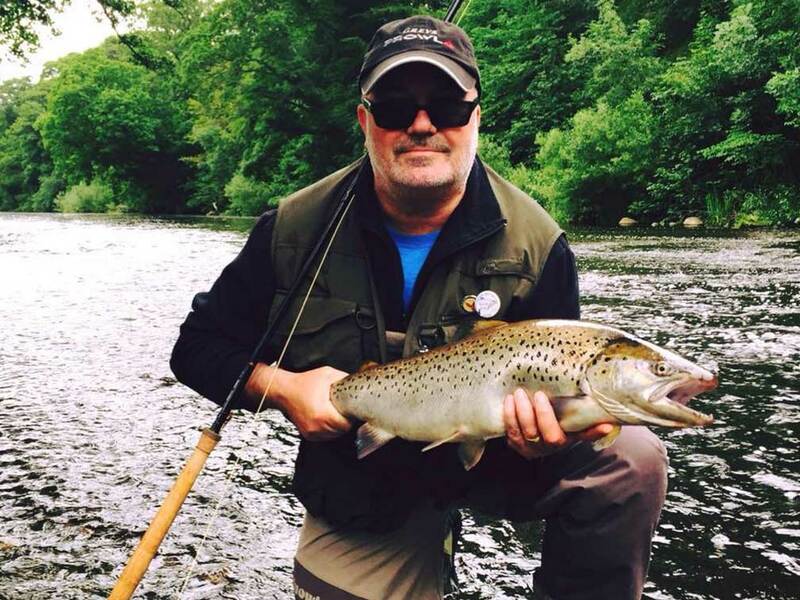 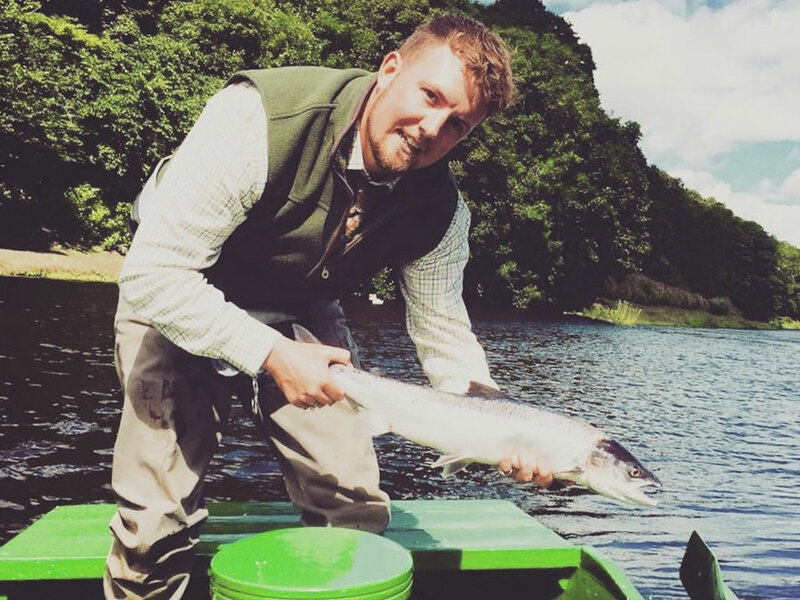 Bespoke fishing trips, guiding and instruction is the key behind Chasing Fins, James has a wealth of knowledge in not only river fishing but lake fishing and inshore fly fishing on the Northumberland Coastline. 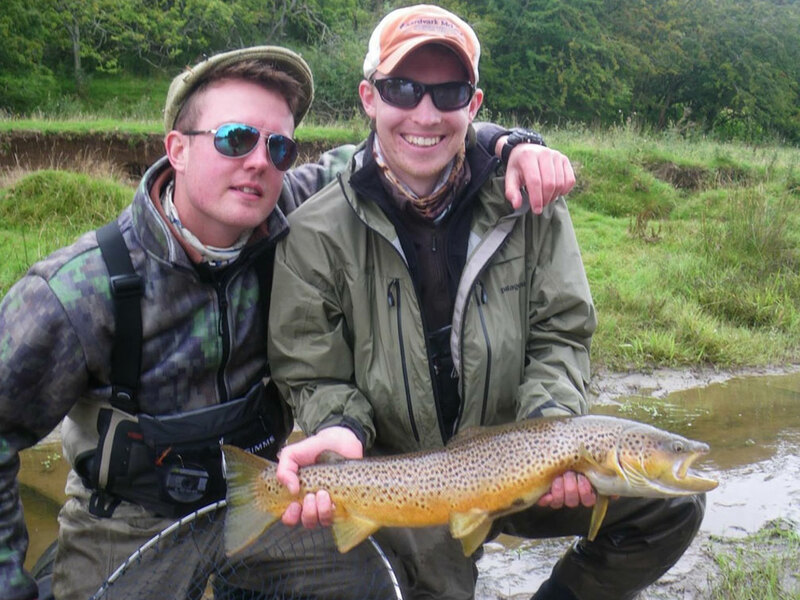 Whatever you are looking for, Chasing fins will be able to organise that perfect fishing trip for you whether you’re a single fisherman, a large group or a family. 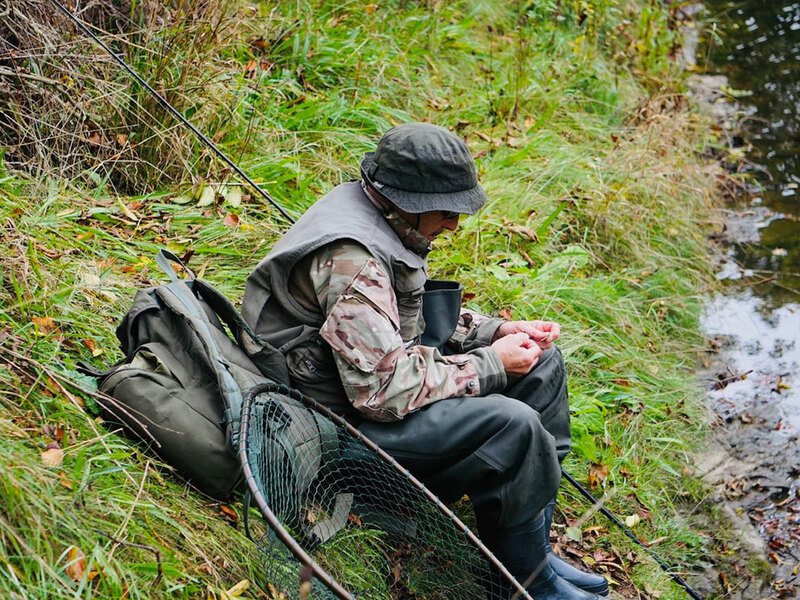 Tailored around you, anything can be organised to make that fishing experience something you won’t forget. 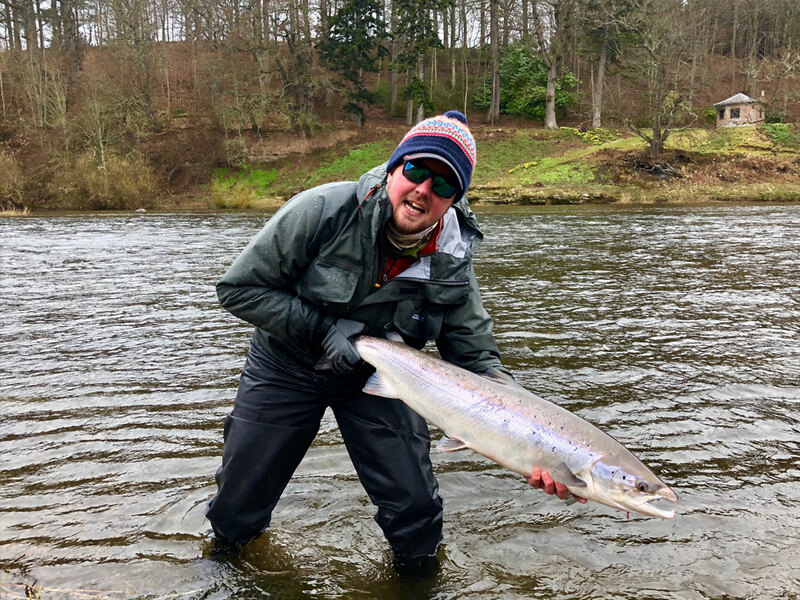 Send us a message using our online enquiry form and we will do our very best to show you what Northumberland and the Scottish Borders has to offer and hopefully we can give you that unforgettable experience. 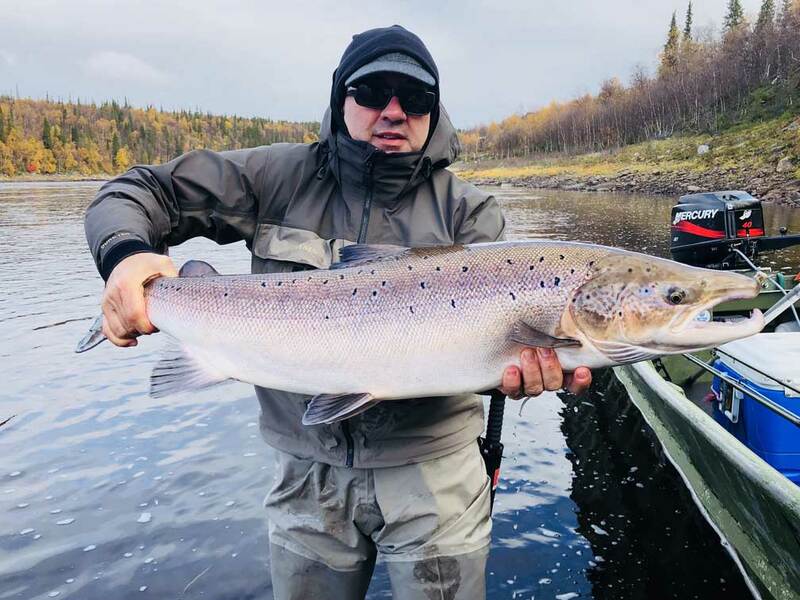 Guideline, originally a Norwegian fly fishing brand but now basing themselves in Sweden have come on board with Chasing Fins. 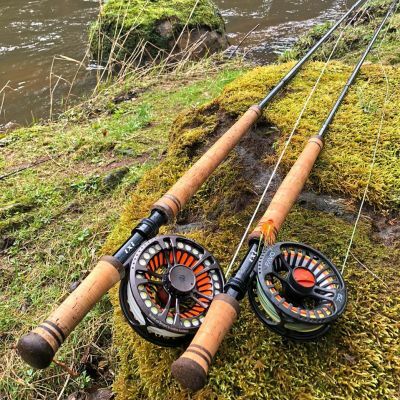 This will be the second season James has been an ambassador for the tackle brand, big thanks to Jim Curry for making this happen. 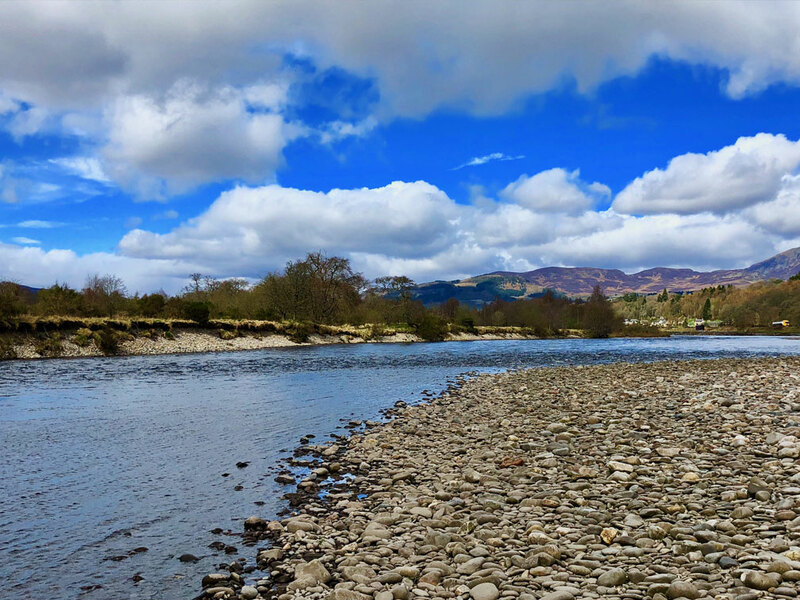 After years of my mother pestering me for casting lessons and trying to fit it in around guiding abroad and guiding back home, this Spring has given me and my mam a great chance to spend some quality time together on the river and teach her the wonderful art of spey casting. 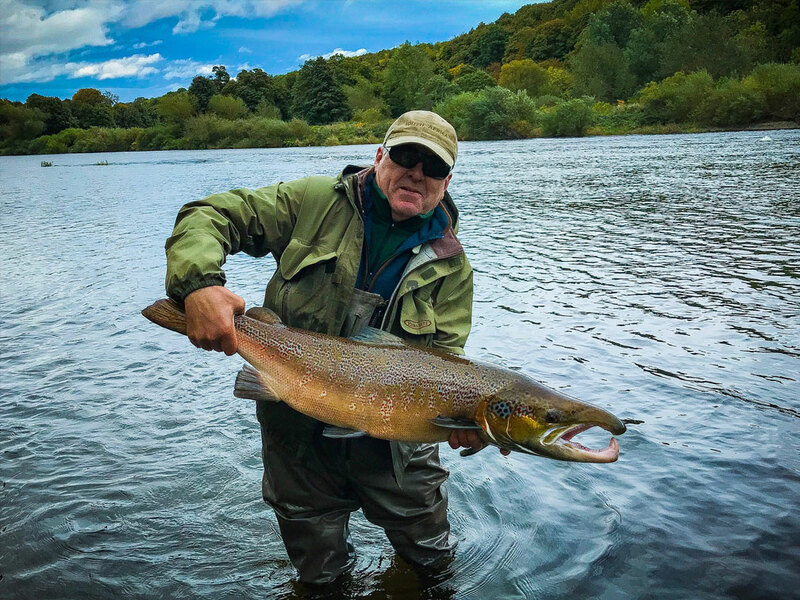 The sea trout has always been in my eyes one of my favourite fish to catch, I've caught fish from all around the world, be it an ocean going torpedo like a long tail tuna or a big feisty giant trevally trying to engulf your surf candy as your run out of stripping power! 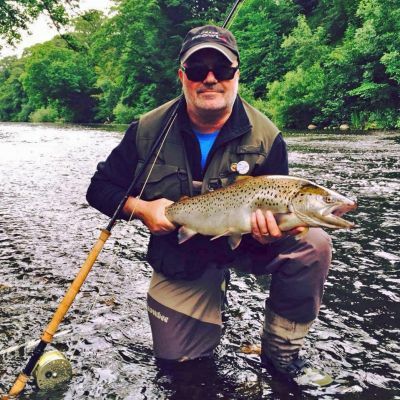 Chasing Fins specialise in bespoke fishing trips, guiding and instruction in the North East of England and Scottish Borders. 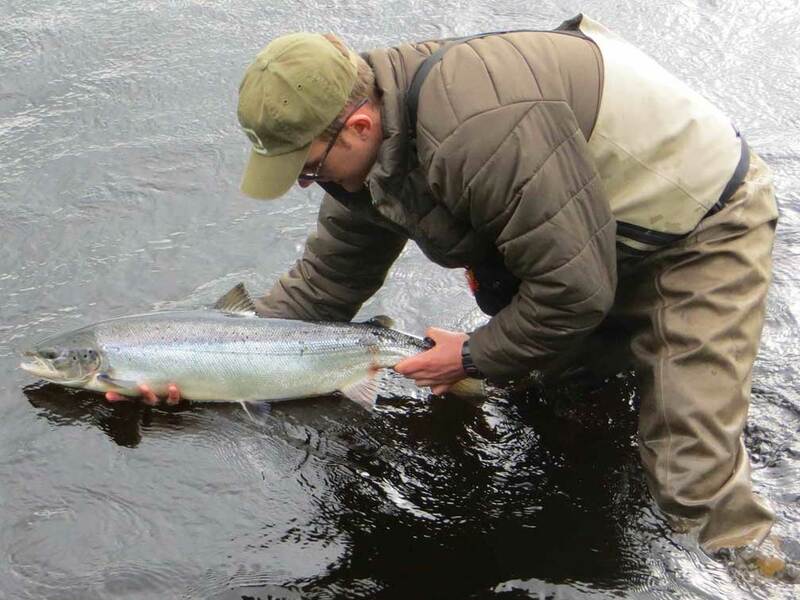 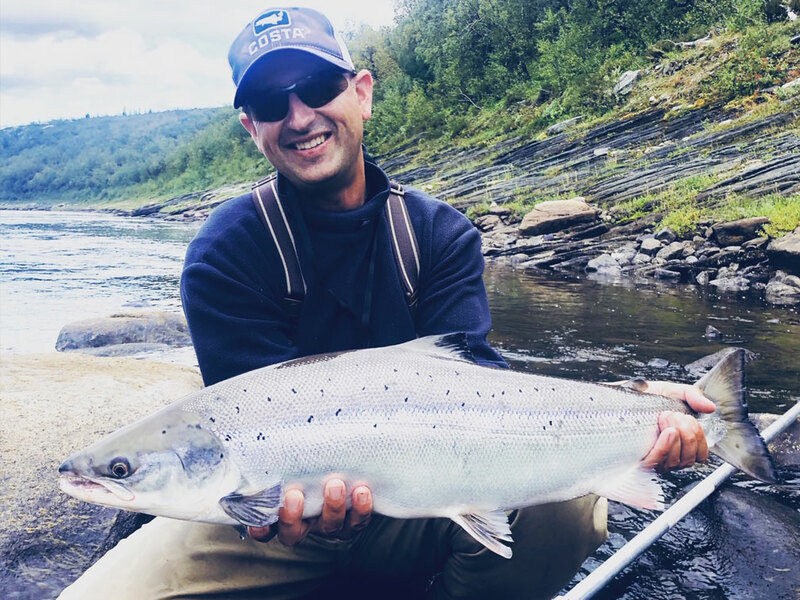 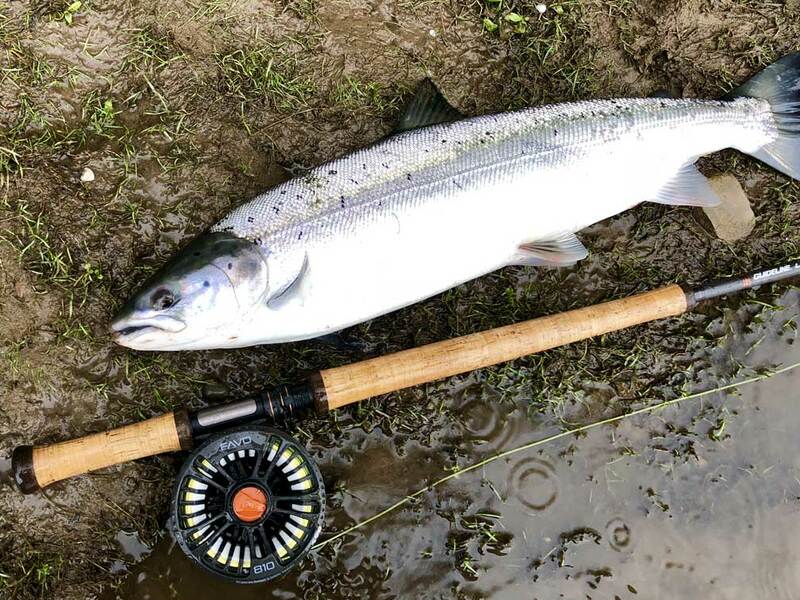 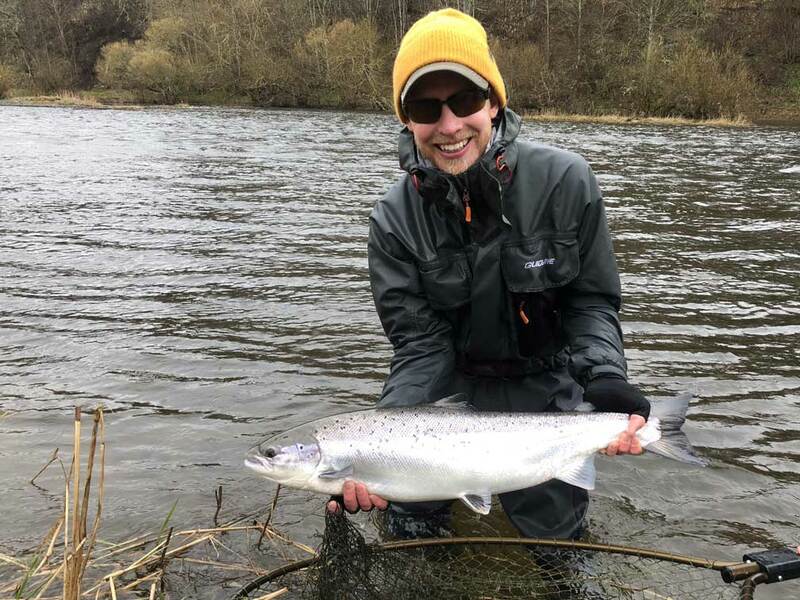 James Armstrong, founder of Chasing Fins has a wealth of knowledge in river fishing, lake fishing and inshore fly fishing on the Northumberland Coastline as well as guiding experience in New Zealand, America, Scotland and Russia.